Lovely corsage shirt in beige and white. 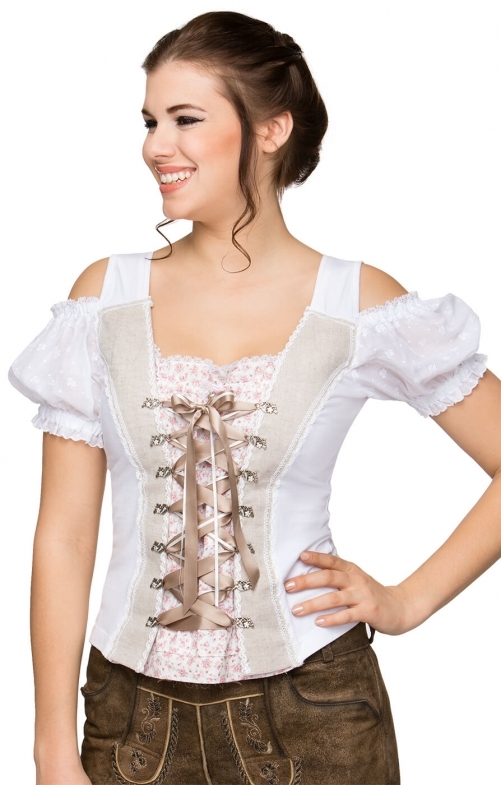 This splendid two-piece top is all you need to prettify your Oktoberfest outfit. Featuring a figure-hugging corsage bodice with floral metal hooks fastened with beige and white satin ribbon, the shirt has a pink floral printed underlay. This cap puff sleeve shirt with refined lacing makes a flattering addition to your wardrobe.